This bike sits right around 25lbs out of the box (size Medium, without pedals). 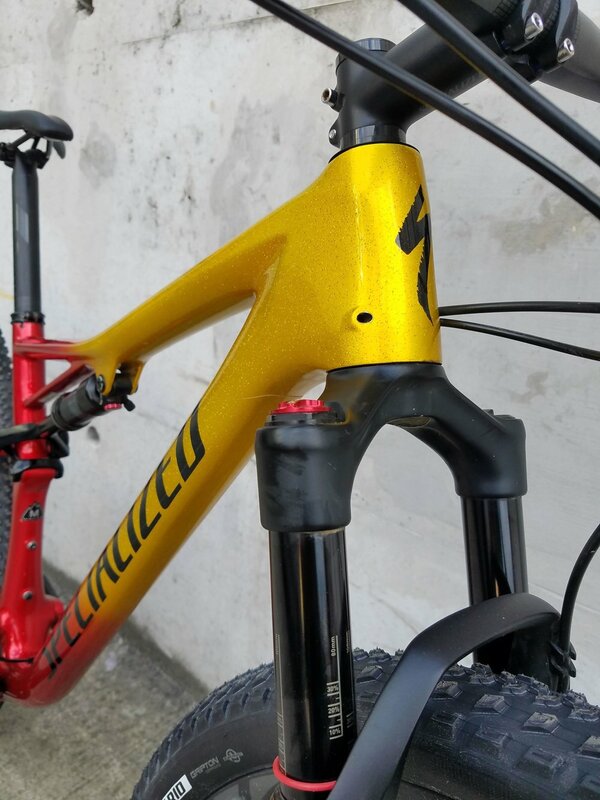 The re-designed Epic provides improved stiffness, ride control, and suspension response. 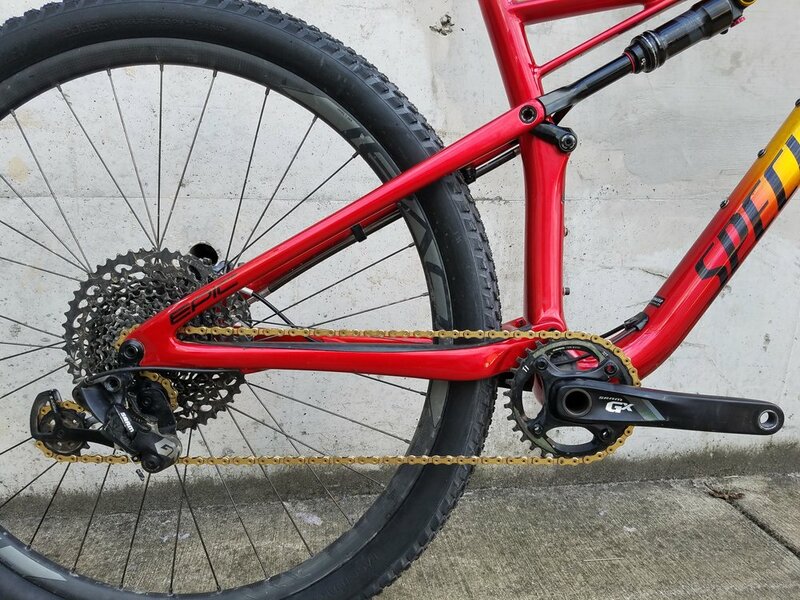 The Full Fact 11m Carbon Frame is Rider First Engineered, ensuring that every rider experiences the same best-riding Cross Country trail experience, regardless of frame size. The new BRAIN technology reacts seamlessly to bumps and has a more consistent damping performance. 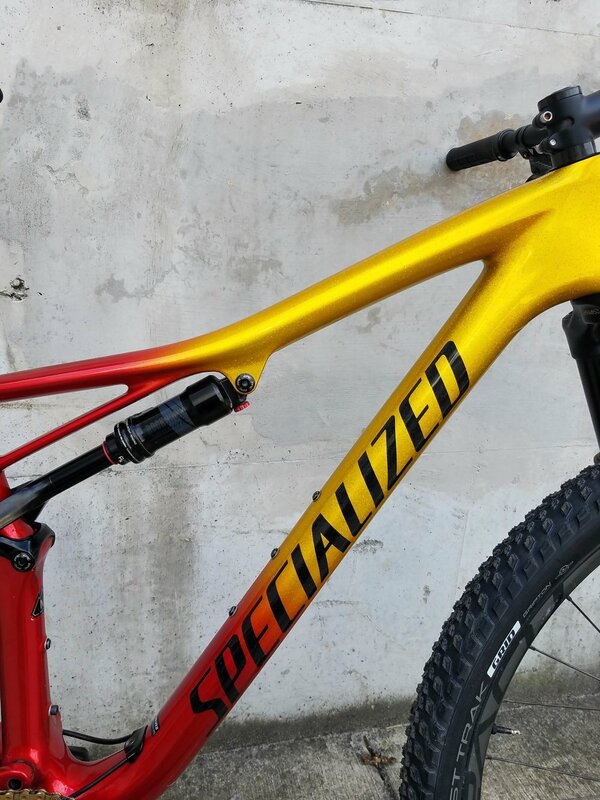 The handling of this bike is incredible, AND it can now fit a dropper with more than 100mm of drop! The seat tube can now accommodate a more standard dropper post, which is awesome, especially for those more technical/steep descents.